I was on my way to Ravioli’s for dinner last night when I realized I’d forgotten to get batteries for the walkie-talkies I’d picked up for the kids. There’s an all night drugstore; I knew they’d be open so I turned the car around. I was halfway through the store before I remembered the last time I’d been here, picking up something for a friend I miss. TS Eliot wrote that April is the cruelest month but I’m inclined to disagree with him; I’m feeling that, for me, and maybe for a lot of other people, it’s December that holds that title. It’s hard not to have high expectations and dashed hopes this month. Promises are broken, nerves are frayed, we’re all a little overly sensitive at this time of year. You remember too vividly what you were doing last year, two years ago, ten years ago at this time. There are happy moments, of course, and days crowded with friends and appointments and parties but I always feel that there are probably more people considering having breakfast at Tiffany’s this time of year than at any other, hoping it is, truly, the cure for the mean reds that Holly promises it to be. Some memories are good. There are the holiday classics on TV: the claymation Rudolph (Bneato shares my enthusiasm for this one); Charlie Brown and his tree, wrapped up in Linus’s blanket; It’s a Wonderful Life. There are the carols you sang as a kid that crowd out all the other songs on the radio at this time of year. There are favorite passages in books you go back to, cookies for breakfast and I always go to the movies on Christmas Day. But even as you make new memories, they link up with the old ones so that Ravioli’s amazing roast beef dinner reminded me of similar meals eaten or planned or cooked. Other months may have their moments but December has more of them and for more of us. The ghosts of the past are as palpable as our hopes for the future. When I drove home, the houses were dark, the streets empty. It’s my mind that’s crowded. 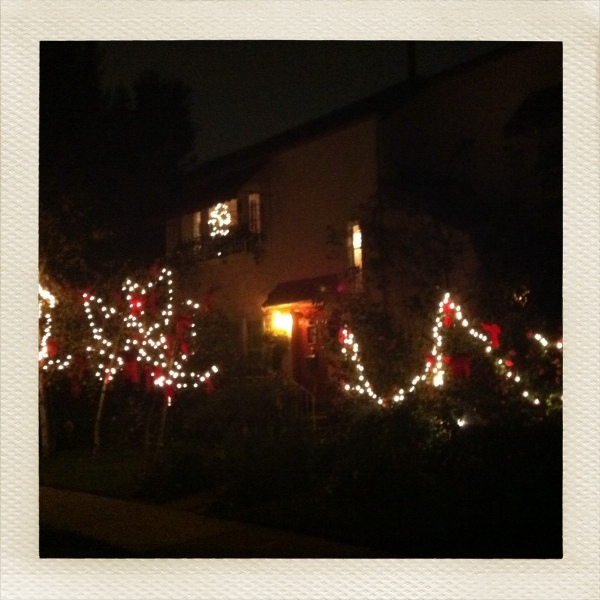 This entry was posted in Let's Take A Moment and tagged Christmas, holiday, It's A Wonderful Life. Bookmark the permalink.